I am so excited to have these incredibly gemmy super 7 generators for you! This stone never lasts long in the shop – because it is so profoundly tuned to the human energy field, it is in high demand. If you are someone who works with chakras, or feels like any of your chakras are out of alignment, this is for you. 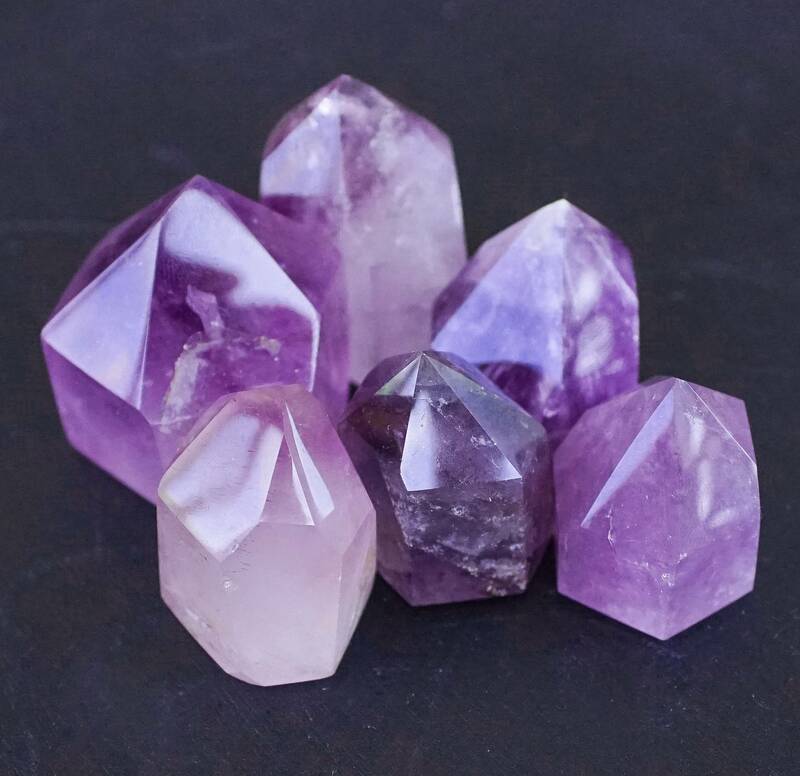 This stone is dynamo for your personal chakra healing work, or your work on others. 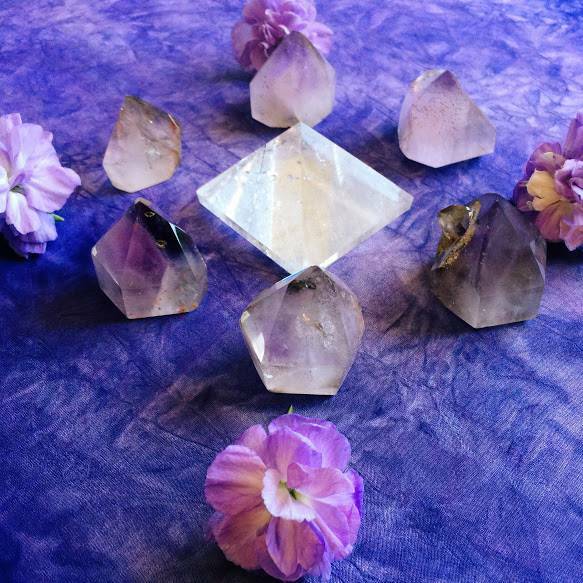 If you feel called to healing, then this tool is a must for your magical healing arsenal! Do not wait on this, it will go, and it will go fast, and I do not know when I will source more. 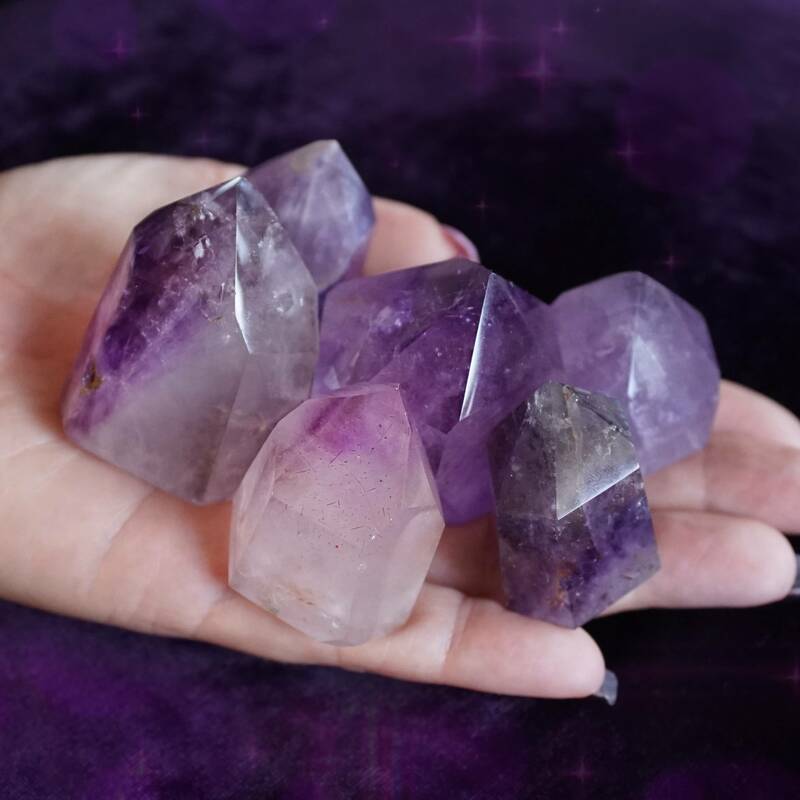 This rare stone is in such high demand because it contains ALL SEVEN energies of my favorite stones: amethyst, clear quartz, smoky quartz, cacoxenite, rutile, goethite and lepidocrocite – combined into one stone, hence the name super 7. This stone is mined in very remote pockets in limited quantities. It’s rare to find this stone at all, and especially rare in these beautiful generators. Seriously, these are just stunning! Even if some of these minerals listed above are not visible to the naked eye, all of their properties are still within the stone. Super 7 (aka Melody Stone or Sacred Seven) is an immensely spiritual stone; it is powerful. It is one of the few stones that retains its energy and clarity; it never needs cleansing or energizing. It enhances psychic abilities including telepathy, clairvoyance, channeling, clairaudience, and telekinesis. This super stone is not associated with any one chakra because it is so effectively outstanding at healing, balancing, and energizing ALL seven chakras. I have heard dramatic stories of spontaneous physical healing achieved with this stone. I love it so much, I had a cabochon made into a ring that I wear every day. It is an absolute must for me. This listing is for one (1) Super 7 generator. I have smaller ones about 1-1.5″ in size, and medium sized ones about 1.5-2″ in size. Choose the size which calls to you from the drop down menu. Yours which will come gift-bagged in organza, with a single white sage leaf, and a card describing the properties of the stone in case you are offering it to another who has not worked with it before.